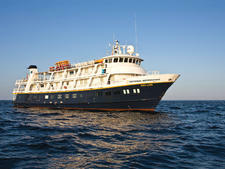 The classic, colonial style of the 48-passenger, 230-foot riverboat Jahan recalls the grand era of British India. Built in 2011 and named after the Indian emperor Shah Jahan who ruled the Mughal Empire in the mid-1600s, the vessel plies the waters of the Mekong River in Vietnam and Cambodia. The luxurious interior decor is the handiwork of local woodworkers, weavers and artists. Every cabin has a balcony, and there is a large whirlpool lined with Turkish tiles on the top deck, prime spots for viewing everyday life on the river. The 24 cabins all face the outside with a floor-to-ceiling glass door opening onto a private balcony. Each has a private bathroom with a glass-walled shower, temperature controls and a mini-fridge. Top category cabins have a TV and DVD player. A pitcher of filtered water is placed in cabins every day. Bed options vary in different cabins and can either be two fixed twins or one fixed queen. The sumptuous decor is decidedly colonial, with lots of wood (including polished floors) and elegant fabrics. Cabins come in four categories, varying by location and size, starting at 323 square feet. The largest and most lavish are two 549-square-foot, forward-facing suites, each with a separate sitting room, queen-sized bed and two balconies, one with a private Jacuzzi. The dining room is open seating, and seats everyone at one sitting, many at tables for six next to picture windows. Breakfast and lunch are buffet-style, while dinner is served. The menu is international with a focus on Vietnamese and Cambodian cuisines. Dress is casual, so there's no need to pack formal clothing. 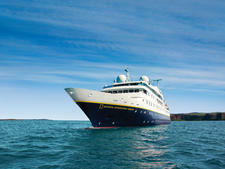 Other public spaces are the top deck's open-air yet covered Funnel Bar and an observatory where afternoon tea is served. The main lounge on the middle deck is the place passengers gather for cocktails, lectures and evening recaps. The lounge has a gift shop. The riverboat has a small spa with two massage rooms near the whirlpool on the top Terrace Deck. 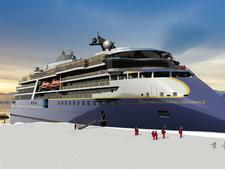 There is a steam room and an exercise room on the lower deck. Wi-Fi is available in the lobby, but may be slow or not work at all on some stretches of the river. 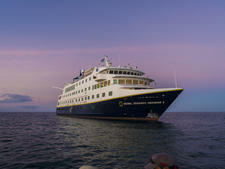 An added bonus is the National Geographic-Lindblad certified photography instructor who accompanies each departure. A doctor is also onboard. Cruises of seven nights explore the Mekong River in Vietnam and Cambodia where passengers discover floating villages and floating markets. Included excursions may feature rides on oxcarts through the rice fields or a cyclo (bicycle taxi) to Phnom Penh's Royal Palace. 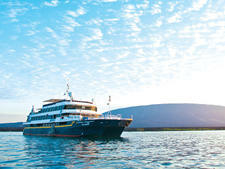 Expedition-style Galapagos Island cruising; carries nine Zodiacs (including one with glass bottom), kayaks, paddleboards and snorkel gear; has connecting cabins as well as solo rooms. 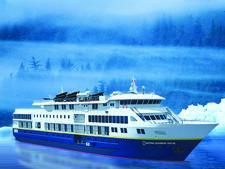 Small, upscale expedition ship with hot tub and massage room; emphasis is on active excursions like biking, hiking and Zodiac trips; ice-strengthened hull for polar cruising. 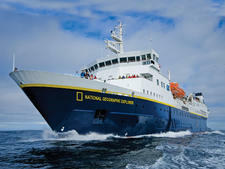 Basic expedition-style cruising mostly in polar regions with ice-strengthened hull and underwater cameras; active excursions including hiking, kayaking and Zodiac sightseeing. 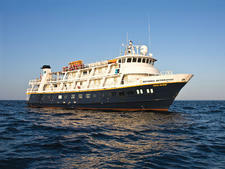 A true expedition vessel, National Geographic Islander has been sailing in the Galapagos for more than a decade. 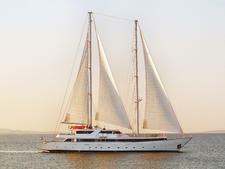 Panorama II is an intimate two-masted sailing vessel designed for adventure. 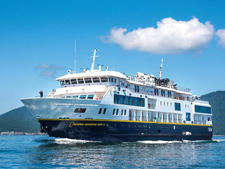 Lindblad Expeditions has chartered the ship from Variety Cruises to offer Cuba voyages.